“For a long time there was a very poor practice in online marketing,” says Joe Sharp, Head of SEO at Hearst Magazines. “Generic advertorials were duplicated across multiple sites with strategic links engineered to increase SEO value. “But Google has now become a lot better at picking out those kind of links and have substantially updated their search algorithms. Algorithms now not only analyse the amount of links pointing to a page, but also factors that indicate the quality of the content, such as how much time users are spending on that page or how many social shares it has. Outdated SEO practices such as participating in link schemes, including hidden text or links and filling pages with irrelevant keywords are now explicitly discouraged in Google’s quality guidelines. The result is a general shift towards value for the user. Speaking at the Brighton SEO conference in April, Matt even went as far to suggest that next year the conference might be called “Brighton Content”. Why is this good for journalists? Joe Sharp thinks there is a strong need in the industry for the kind of skills journalists have. Content marketing is definitely growing in popularity. Google Trends suggests there are over four times more searches for the term compared to four years ago Tweet this! (see image above). 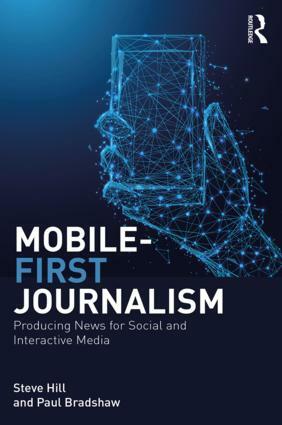 “It’s a reality – some might say a sad one – that more NCTJ trained students go into the marketing side of journalism, that being copywriting, native advertising, sponsored copy etc. Graduate statistics suggest there is a wider trend in this direction too. Figures from the Higher Education Statistics Agency (HESA), which do not include NCTJ students outside of university, say only a quarter of students who graduated with a journalism degree in 2012 were working in a journalism job six months later. In comparison, 15% of graduates were in PR or marketing roles six months after graduating. With such a significant number, should professional courses change to reflect the demand for journalistic skills in other industries? “Many in the PR and communications industry prefer those with journalism experience and qualifications. 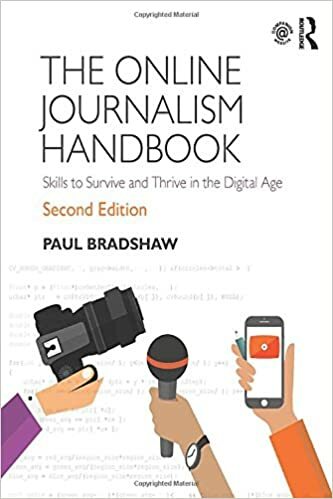 The NCTJ has already broadened its range of qualifications and training to reflect this, such as the new Certificate in Foundation Journalism, and short courses for corporate communicators. Nick Chowdrey is a freelance and staff writer, interested in technology, economics and alternative politics. He has contributed in the past to Vice and The Guardian and is currently technical writer at Crunch Accounting. Journalist and writer interested in technology, economics and alternative politics. You mean stop teaching actual journalism and teach marketing instead? I don’t think courses need to start teaching marketing in place of journalism. The world of marketing should improve as a result of employing trained journalists. Marketing world (particularly SEO) is currently far too accessible to people who have no professional training. Someone with a solid background in journalism will help to improve the industry. Hi Paul, I agree that marketing teaching shouldn’t replace journalism training. But because marketing is obviously the default back-up plan for those who can’t get into the media, I do think that journalism courses should start offering optional marketing modules. Agree with that. I’ve been working with the University of Winchester where they have been doing a good job of introducing an online marketing angled module to their journalism course. Whether the students go into the media or not, there are online marketing skills that cross-over very well; skills like knowing basic HTML code makes life easier for a modern journalist, understanding how to promote yourself using SEO and social equally important.